Oasis is more than a ministry, it's a community of believers coming together to make a powerful impact on the world around us. Whether you are married, single, young or seasoned, we have a place in our ministry for you. View available ministries below by clicking on the title for a brief description, and then Sign Up to Serve. Plan and ensure students of all ages are recognized for scholastic achievement at the end of each school term. Attends to guest ministers, administers financial functions (counting of tithe/offering, make bank deposits, enter financial information into database, etc. ), prepare church bulletins, and miscellaneous clerical and administrative tasks. Helping hands to decorate the church for holidays and special events. Ministry with a focus on young adults who have graduated from high school and are in schools of higher learning, a branch of the armed services, trade/technical school, etc. Monthly communication is made with this group via text, email, mail, video conferencing, etc. Altar Attendant - Prepares the altar and elements for communion services. Take the lead on ushering the congregation into the Presence of God through singing and playing instruments. Take the lead on ushering the congregation into the Presence of God through dance. Intentionally establish and stabilize people in the Christian faith through consistent committed Word-centered, person-to-person ministry interactions. Individuals who go to Prisons, the Streets, Youth Detention Centers, etc. sharing the Gospel and leading people to a commitment to Jesus Christ. “First Responders” and are needed on hand to meet and greet those entering our sanctuary. Bring an authentic smile, a warm inviting handshake and/or hug to ensure everyone feels welcomed. Contact guests via phone, email, text, and mail thanking for visiting our sanctuary; to address their prayer requests and/or needs. Serve breakfast snacks on Sundays as well other foods and drinks at the various church functions as needed. Creates the marketing plan for the church and fellowship; takes the lead on digital marketing, direct mail marketing and all other aspects of marketing. “Bringing Our Hearts Back Home” host at least one major event per year and various outings quarterly for marriage and engaged couples. Disseminate relevant information through various means of communication. Men meeting with men for the purpose of strengthening the man, his family, his community, his employment, his health—to become a God-rounded man. Individuals who are gifted to impact the lives of young people (ages 5—18) and who will commit themselves to monthly involvement in doing so. Serve the needs (food, clothing, etc. ; and sharing the Gospel) of those abroad as well as within the United States. Typically, the team takes a foreign mission trip bi-annually. Ensure new members are thoroughly introduced to all aspect of the church. In addition, that they are properly emerged into fellowship through a buddy system. Provides various types of support to the local community as well as those within our local fellowship. 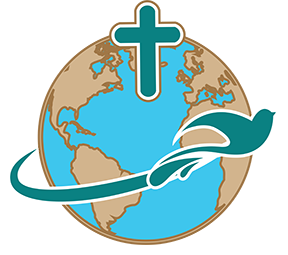 This ministry works closely with the Missions Ministry. Ensure the church fellowship is knowledgeable regarding governmental and political issues within our local (city, county and state) area, nation and internationally. 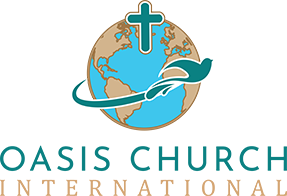 This ministry partners closely with the Prayer Ministry. Takes the lead on ushering the congregation into the Presence of God through anointed skillful singing and playing of instruments. Individuals who know how to intercede and pray according to biblical guidelines and those who are willing to learn. Individuals who are willing to fast over extended periods and pray at odd hours of the day and night. Men and women who are eligible to be trained in the care of the church while services or special events are being held. Visits those who are sick and shut in to share Christian fellow- ship and prayers. Oasis Groups will meet bi-weekly on a day chosen by the group leader. All Audio &Visual – Ensure flawless audio and visual support during worship services and any special events. Some audio/visual/computer experience preferred; training will be provided. Teach from a biblically sound curriculum [which is provided] to students of all ages, including adults. Youth classes are ages 5-17 and are broken out to appropriate age categories. Warmly welcome and lead individuals to seating during services; remain attentive to attendees during worship providing facial tissue, ensuring they don’t harm themselves; provide attendants tithe and offering envelopes; assist congregants during offering processional for smooth flow of everyone. Serving the multifaceted needs of women while providing opportunities for personal growth, professional and spiritual development and authentic sisterhood bonding. Teach same and/or similar curriculum as adults’ on Bible Study (Wednesday) night. Boys and girls ages 5 – 12 presenting songs and playing instruments. Youth (ages 5—18; still enrolled in school) who entrepreneurial and have a sound business (must meet established criteria) will be allowed to present their product or service.